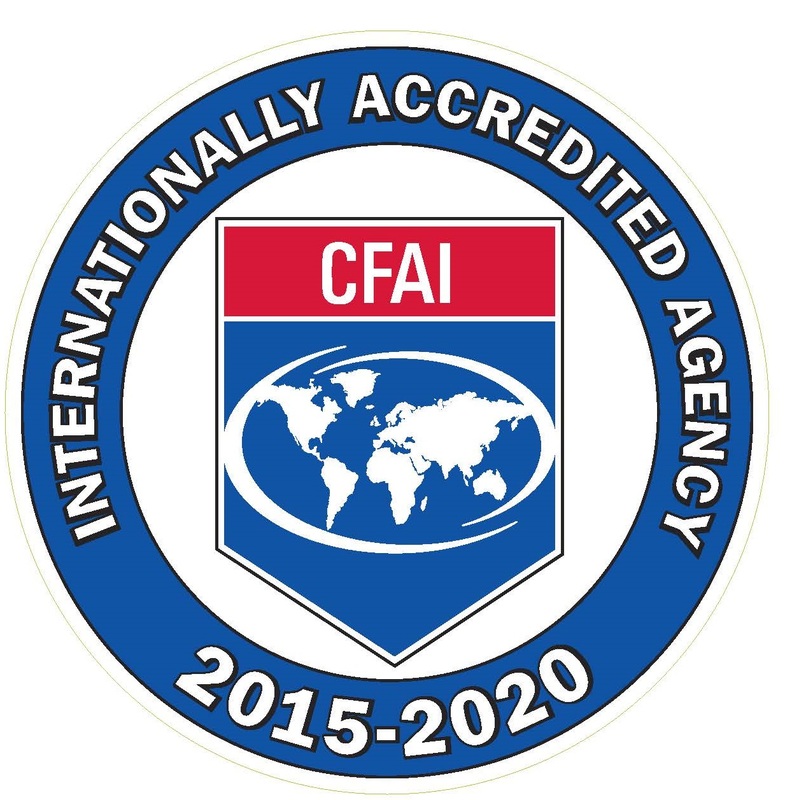 On August 26th, 2015, the Commission on Fire Accreditation International (CFAI) completed a comprehensive review and appraisal of the Charleston Fire Department and granted the department Accredited status. After a vote of approval by members of the CFAI, the Charleston Fire Department became the eighth department in South Carolina and the 208th in the United States to receive accreditation. Accreditation is a comprehensive assessment and evaluation model for fire and emergency service organizations. The accreditation process evaluates the performance of the agency and helps to determine community risks and fire safety needs. The assessment process identified strength and weaknesses within the department, provided a detailed evaluation of the services the department provides to the community, created methods for addressing deficiencies, and encourages professional growth for both the department and its personnel. In 2012, the Charleston Fire Department became a registered agency with the CFAI and involved in the accreditation process. The department entered Applicant status in 2013. As part of the accreditation process it was necessary for the Department to develop and adopt several key documents, including a Strategic Plan, a Standards of Cover, and a Self-Assessment Manual. The Self-assessment manual provides the ability to evaluate programs and demonstrate compliance with 243 performance indicators. After completing all requisite steps and providing documentation the department was elevated to Candidate Agency status by the CFAI in early 2015. During the week of May 25th, 2015 a four-member CFAI Peer Assessment Team conducted an on-site visit of the Charleston Fire Department. On May 29th, 2015 the Peer Assessment team announced the department would be recommended for International Accreditation. Department representatives went before the Commission today in Atlanta and received accredited status after a vote of approval.